This is probably the most complete old mining operation that I have ever been to. There are the shafts with their hoists and compressors; a pretty complete mill and four old houses. 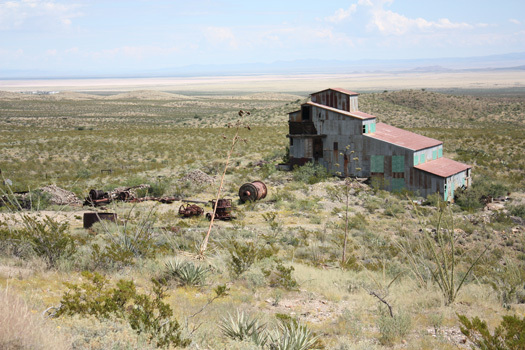 Concentrates of lead, zinc and silver were produced from the 1920's through the 1950's. Much of the equipment remains in their original operating positions, and dates from those early years. There is a lot of machinery that has been "yarded".